This post is sponsored by Natural Delights Medjool Dates. Doesn't it feel like just about everyone is on vacation right now? The online world seems to be blissfully crowded with gorgeous beachy vistas, poolside parties and smiling sunglass-wearing faces. We are in it. Summertime. Feels good right? Well, one way to make summer even better? A HUGE, jam-packed, I-went-a-little-overboard-gathering-prizes-but-what's-new giveaway.. 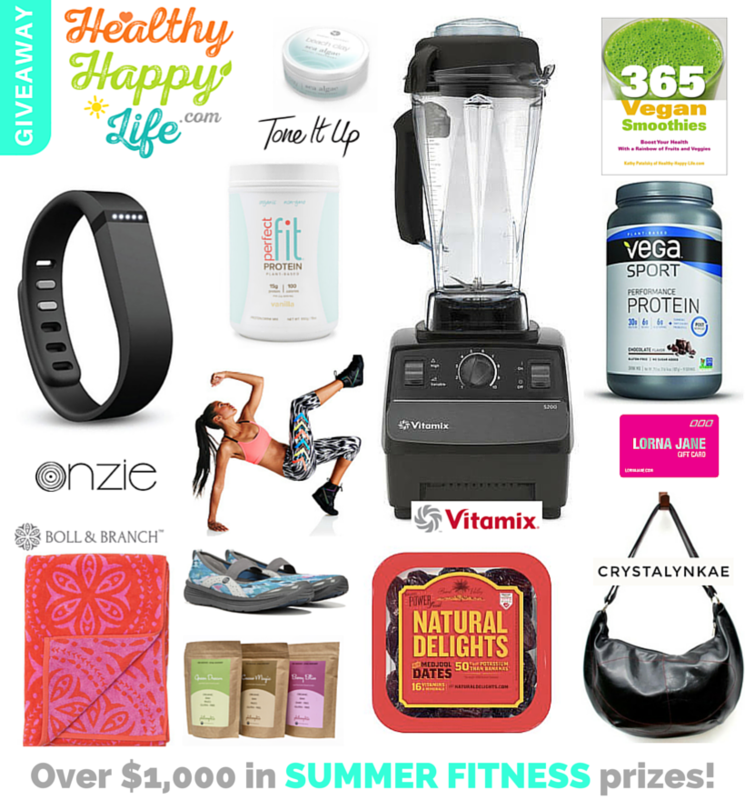 I present to you, my beautiful blog readers, my Summer Fitness Giveaway! 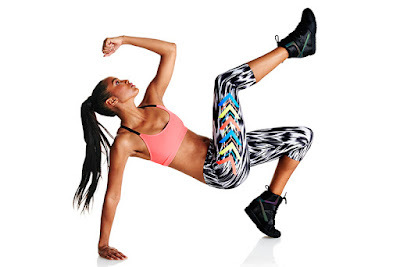 I wrangled up a bunch of amazing brands, all themed to give your summer a fitness boost! There are over $1,000 in prizes that one lucky girl or guy will receive. Enter the giveaway - plus, get my list of ten fave things to do with Natural Delights Medjool Dates!.. Why this giveaway? This giveaway is inspired by an event I participated in last week here in LA. IDEA World. I joined the Natural Delights Medjool Dates booth for a few hours on Saturday, passing out samples and chatting about recipes with the convention attendees. I even had a few blog fans stop by, which was awesome! I need to more meet-n-greets because I always love meeting you guys. The expo was loaded with fitness goodies, healthy snacks and summer fitness inspiration, so I decided to bring the fitness expo to the blog with this giveaway. ☀️ Had such a fun afternoon hanging out with my @ndmedjooldates friends, passing out yummy dates and chatting recipes @ #ideaworld. Before I tell you about the PRIZES, I want to thank the lovely people at Natural Delights! They are the prime sponsor of this giveaway. And in honor of them, here are my ten favorite recipes to make using Natural Delights Medjool Dates..
2. Ice Cream. Ice Cream sweetened using Medjool dates. 3. Cookies. Three-Ingredient Peanut Butter Cookies. 5. Candy. Vegan Chocolate Turtles or Vegan Snickers. 6. Appetizer. This Princess Platter is a fun savory, sweet, green combo. 7. Salted Caramel. Amazing, versatile salted caramel sauce. 8. Granola Bars. These Roadtrip Bars. 9. Savory Dishes. Savory meets sweet. Like Peanut Butter Curry! 10. Smoothies. I love them in green smoothies. 11. Dateorade! Strawberry Dateorade by Jasmine of Sweet Simple Vegan. 12. Vegan Cheese-Stuffed, Tempeh Bacon-Wrapped. Stuff a Medjool Date with your fave aged vegan cheese (or DIY cashew cheese) and wrap it in sticky-sweet tempeh bacon. 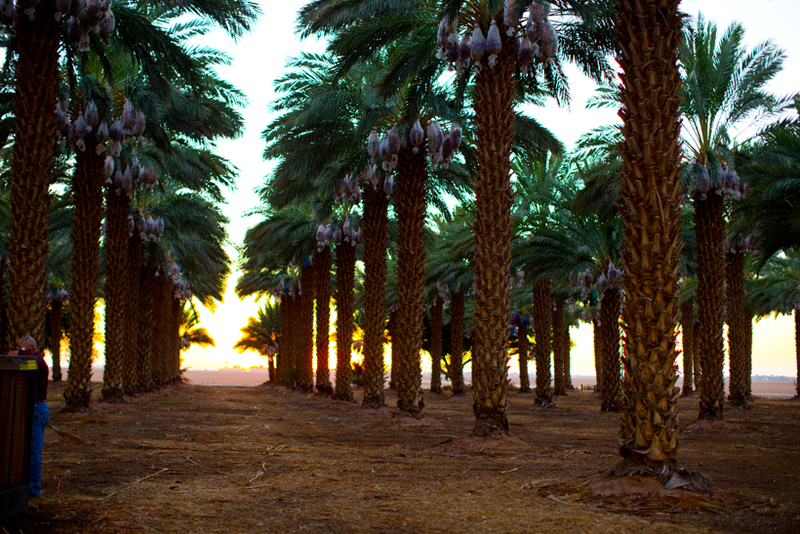 Natural Delights Medjool Dates grow on these big, beautiful date palm trees. I mean, it doesn't get any more endless summer-y than these beauties!.. See my trip to the date groves and watch me harvest the dates on the Natural Delights Blogger Summit Trip. I always have Medjool Dates in my kitchen. They are my go-to for adding 100% natural caramel-y sweetness to a variety of recipes: smoothies, ice cream, salads, cookies, cakes and more. Natural Delights bring you the plumpest, sweetest, more flavorful Medjool Dates out there so be sure to look for their brand. You can find Natural Delights Medjool Dates in most mainstream grocery stores, in the produce department. If you can't find them, just ask the produce guy. You can also buy them online! I use my Vitamix SO MUCH. I honestly could not survive in my kitchen without it. If you need help comparing styles, check out my review post. You can read more about how Vitamix changed my life. 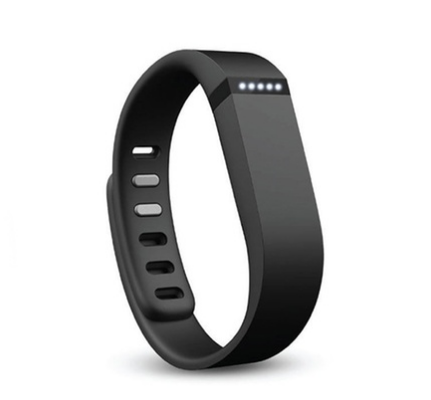 Tracking your activity is such an awesome way to motivate yourself to get in more steps each day. Move more, get out of your chair and set goals. I mean, who doesn't love Lorna? The person and the store! Every time I pop in their store I find more than a few colorful, fun fitness items I want to buy. I recently purchased this grey sweater that I love wearing to yoga class. So comfy. 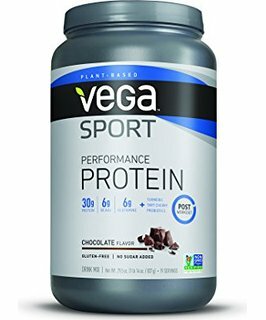 This VEGA protein is my go-to post-workout protein this summer. I love it! Each scoop packs 30g of plant-based (pea, pumpkin seed, alfalfa and sunflower seed based) protein. I love pairing the vanilla flavor with green smoothies and blueberries. Each scoop contains turmeric, tart cherry and probiotics for faster recovery. Love this stuff! I met the founder on Onzie on a wellness getaway last June with my good friend Cat. We kept noticing these two ladies wearing the cutest yoga pants and tops and we finally had to ask them where they got them. Onzie! I have a few Onzie leggings and a one piece bodysuit that makes me feel like a ballerina. I purchased my first Crystalyn Kae bag at Moo Shoes in NYC. I love it. Their vegan "leather" is silky smooth and so durable. Plus the founder is just so sweet and lovely. You can check out more of my vegan bag reviews here. 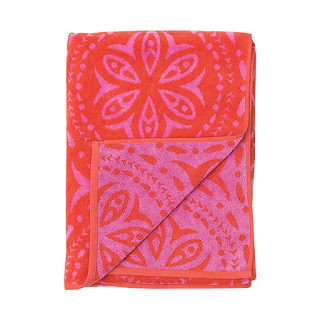 I love these organic, oversized, plush, super soft, colorful beach towels by Boll & Branch. They are stylish, versatile, and sustainable. One side is made of super soft velour, while the other is looped for maximum absorbency and durability. I have this Cabana colored one and adore it for beach and pool days. You guys know how much I adore all of my friend Sophie's Philosophie products. 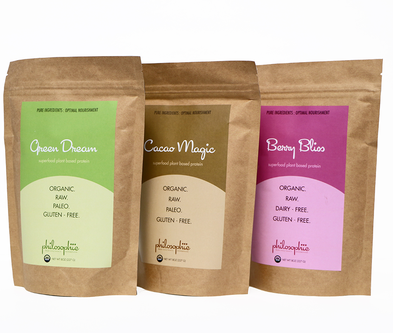 If you have never tried them, I highly advise you pop over to the website and order a superfood blends sampler pack so you can try them out. I am also OBSESSED with Sophie's superfood coconut butters. My fave is the Coconut Bliss. I keep the jar in my workout bag and nibble a bit before and after workouts. Tastes like coconut cookie dough. If you are a girl who loves to workout and loves beachy vibes I am pretty sure you have heard of the powerhouse duo, Karena and Katrina, founders of the Tone it Up fitness community. I have used a few of their Beach Babe DVDs and love them. They also offer super cute fitness gear, a nutrition plan (vegan-friendly!) and more. Their plant-based Perfect Fit Protein is "Certified Organic, Non-GMO, Gluten-free, Kosher & Vegan." It is made using pea and pumpkin seed protein and alluring ingredients like organic vanilla and cacao. And I love that it is sweetened with monk fruit, which is one of my favorite sugar-free sweeteners. It is similar to stevia but has a slightly different flavor. About Movement MultiVitamin: As the name implies, the “Daily Movement Multivitamin” fills in the movement gaps left by many conventional fitness programs. This DVD hits the reset button to help nourish what Bowman considers the “sticky spots” in the body. About Targeted Toning Yoga: Filmed in a lush garden overlooking the Pacific Ocean, these 20-minute yoga programs are designed to create a toned, streamlined body and a calm, focused mind. Lead by Meaghan Kennedy Townsend, an internationally renowned yoga instructor and the founder of Updog Yoga & Cycling in West Hollywood. 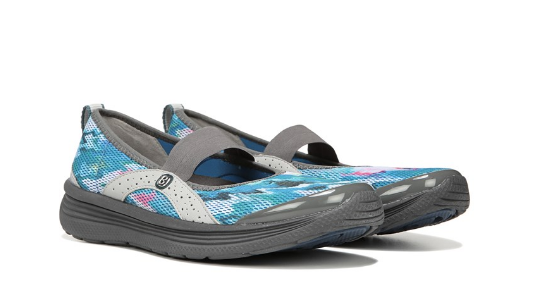 I tried these fun, smart water shoes out when I went paddle boarding a month or so ago and LOVE them! So perfect for when you are doing just about anything sporty at the beach, lake or pool. Protect your feet and look cute doing it. 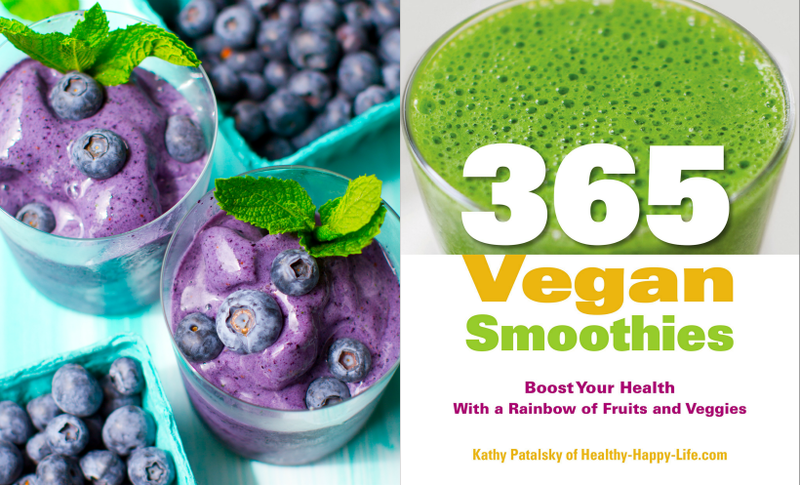 My first cookbook, 365 Vegan Smoothies is the perfect way to get out of a smoothie rut. Plus, this will pair perfectly with your new Vitamix. Check out this review..
Fun Fact #1: Natural Delights Medjool Dates are an awesome pre-workout snack, They are contain a natural energy boost, plus contain 16 vitamins and minerals. 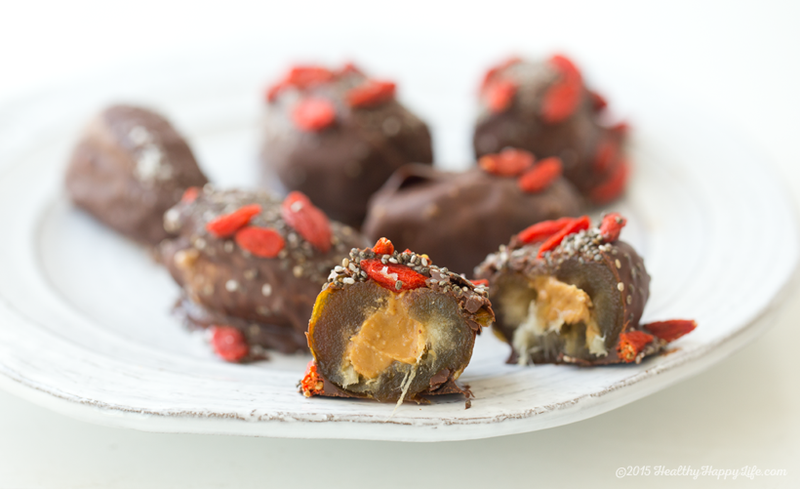 They are rich in fiber and two dates have almost as much potassium as a banana! Fun Fact #2: Happy Harvest. No Pesticides Used. This is pretty awesome.. "Our Medjool dates are grown in desert conditions in the Bard Valley. In these harsh conditions they do not suffer from any insects or pests. Consequently we do not need to use pesticides on any of our Natural Delights Medjool dates. To prevent birds from eating the fruit we enclose ripening Medjool dates in cotton bags until they are picked at harvest." Love that! Disclosures: This giveaway is sponsored by Natural Delights Medjool Dates. Additional prize brands are not paid placements and have been donated directly from the brand. When entering the giveaway, please read the terms. Prizes can only be shipped to a USA address. This post contains a few Amazon and Vitamix affiliate links.